I often hear it said that what underlies anger, rage, hostility, etc., is fear. But what underlies fear? Well, as far as I can see, attachment underlies fear. I’ll have to amend that statement later but let me look at it from a general standpoint for a minute. Mostly what we fear is loss. We fear we’ll lose something we’re attached to – our spouse, our children, our house, our car, our job. We consider these things as basic to our wellbeing, happiness, and satisfaction and of course they’re not. That is one of the illusions of the old Third. It isn’t that it’s bad and wrong to attach to these things. It’s just that it has consequences. In the face of our illusions, we constrain ourselves not to act courageously lest we endanger, risk or lose what we attach ourselves to. We become passive and malleable. We fit in. We give way. We don’t stand up for what we know is right or good. We become part of the crowd, banding together for a security we never attain. Fear is not something innate within us. It’s a temporary condition that stays as long as we allow it. 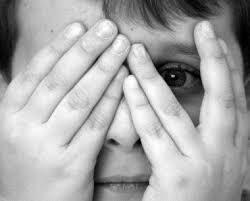 Here are some suggested ways of banishing fear. (1) Let go of the attachment. Whatever it is you’re attached to, reconcile yourself with the possibility of its loss and come to peace with that. Fear now has no place to cling to. (2) Stamp your foot and tell fear to be gone. What we don’t realize about fear is that fear is afraid of us. Show it who’s boss. When we turn our face against fear, when we stamp our foot and say “No!” to fear, fear flees. It flies away. You can try it and see. (3) Expand your chest as far as you can and feel the substantiality of your being: take courage from that. If you’re into karate, use your kiya to banish fear. Or growl at fear. It will go. (4) Take a stand on something. State exactly where you’re at with it, whether you have to speak through your fear or not. Fear is not equal to your stand. (5) Use Sanat Kumara’s magic phrase. Sanat told a friend in a reading that he was going to give her a magic incantation that would banish fear. What was it? “Shoooo!” And it works. (6) Give your fear away to the celestials or ascended masters. That is working more and more these days. (7) Love your fear. Love the frightened child within you. Offer to let Big Betty take care of Little Betty. Take fear under your wing. “We have nothing to fear but fear itself.” Yes, because in the higher dimensions we can create what we want and nothing need ever be lost. Moreover, we have no attachments in the higher dimension – well, no attachments of a certain kind. And that’s where I must make my amendment, my caveat. There’s nothing wrong, as far as I’m aware, with attaching yourself to the Divine or anything divine. No negative results ensue. I’ve said that the basic spiritual movement is to turn from the world to God – to turn from material pleasures and pursuits to service of the Divine. That involves letting go of our attachment to the impermanent, the merely sensual, the baser impulses, etc., and embracing the permanent, the higher pursuits, the finer impulses, etc. And when we do so, we find that all the divine qualities are solvents that dissolve fear. Fear cannot stand in the face of love and you see this every time a truly loving person confronts an angry or fearful person. They calm down in the face of love. I’m not saying this is easy to do but, whether easy or hard, it works nonetheless. When you are relaxed it is quite easy for you to enter into a quiet and meditative state, but when you are anxious or disturbed and your mind is racing, it is considerably more difficult. And that is when it would be most helpful if you could relax into that peace and stillness. If you are over-stressed, driven by fear or anxiety, go to some place where you can be alone, without interruptions (turn off your phones! ), and ask your guides, angels, ascended masters – whoever you are most comfortable calling on – for help. Keep asking and asking and asking, because when you are very stressed your ego will be extremely persistent in filling your minds with worrying thoughts — thoughts that must be attended to now. This is not the case. If you are over-stressed you cannot think clearly, and to take action in this state of mind is inadvisable at best. To quieten your ego mind, it can be most effective to keep repeating a short prayer or mantra until it stills, and this you can reprise should it start to race again. Intense anxiety, which many on the earth plane frequently experience, is a trap because it stirs up and muddies the waters of your minds, preventing clarity. You know this because you have all experienced it, so it is essential that you establish a quiet place of peace within, to which you can withdraw to still those raging waters. If this is the guidance, the intuitive sense, the feeling that you get, then honor it. You are all aware of the damage that can be done when you act in haste. Obviously we are not talking here about any high-speed activities in which you may be engaged, where well-trained reactions that have been carefully rehearsed have to be put into effect instantaneously. When you are feeling stressed you often feel the need to do something now, and apart from the situations just referred to, that is generally not a good idea. If you have not already created a place within to which you can withdraw when your stress levels become excessive, then please do so. You need and deserve an interior place of seclusion and peace, and it is well worth spending time creating one for yourselves, one that really appeals to your senses and entices you inwards. Having created this space, use it daily. It will help you re-energize the flame of divine Love that burns constantly within you. Fires need air so you need to create a draft for them: the flame of Love within you simply needs your attention, your acknowledgment, so use these to fan your flame and it will blaze up enthusiastically, warming your hearts and strengthening your faith that you are the divine and beloved children of God, forever in His thoughts. You need the nourishment that your daily visits to your inner space provide. If you neglect or forget to go there regularly you will find your stress levels rising, also your doubts and frustrations. When you find yourselves becoming short-tempered, irritable, exhausted, it is a sure sign that you need to withdraw and restore your vitality, your life energy, and re-arouse the flame of Love that burns constantly within you. It wants to work with you but can only do so when you allow It to — by opening your hearts in acceptance of the now-moment in whatever form it presents itself. There is only Love. Anything else is a distraction, an illusory temptation to engage egotistically with the world around you. Yes, you are in the world, but you are not of it, so to engage only lovingly will fortify that awareness, shining your Light brightly in the dark places in which you may find yourselves, and bringing solace to those around you. This is your task, your reason for this earthly incarnation, and with the constant intensifying of the divine energy field enveloping the Earth, you have an abundance of Light and Love to share in every situation, in every relationship, in every moment. You are Love incarnate; do not attempt to dissuade yourselves of this truth. Many of you judge yourselves as too unworthy to even consider that this might be true, but that is just your egos trying to undermine your faith and your knowing by offering you a false sense of humility in which to wrap your doubts. Don’t be fooled; your ego has no wisdom. It employs faulty reasoning to divert you from your path and to persuade you that you are not good enough. Yes, you have all engaged in unloving behavior, but it is the behavior that is not good enough, not you, and you can change your behavior. The field of divine Love is infiltrating the hearts of all on the planet, arousing awareness of unloving attitudes and behaviors, and of the damage that they cause, and encouraging people to release all that is not in alignment with it. For the most part their responses are positive because they are becoming increasingly aware of the rightness of aligning with Love, and their will to do so is growing ever stronger. These are indeed incredible and wonderful times to be on Earth. Look for the beauty and wonder in every moment, and amaze and delight yourselves as you all chose to be here to participate in humanity’s awakening. NOTE BY NANCY: A gay minister friend of mine is sharing his journal with a prayer that his experiences will be of assistance to others as we all prepare for Ascension. One way in which he is preparing is by having a past-life regression. As I prepare for my past-life regression on Monday, I have become keenly aware over the past weeks/months that FEAR is the #1 issue that confronts my life, as is probably the case with 100% of all other humans. My earliest recollections of this present life all involve being taught to fear—not love. Oh, love may have been sprinkled in there like a sparsely used pinch of salt, but it was never enough to flavor the heaping portion of fear. As a child, some of the amazingly weird things I was taught to fear were pickles (they cause mouth ulcers! ), watermelon seeds (if swallowed they would grow a watermelon inside me! ), milk (too much mucus that impedes breathing) and lastly, spinach, cranberries (carcinogenic) and tomatoes which rot the stomach! Hmmmmmmm?… could this be WHY, at age 25 I developed an eating disorder known as bulimia?????…. Me thinks so! Why did I migrate towards Fundamentalism??? It gives clear answers that are black and white! My emerging sexuality at the age of 15 was fear-producing! It should not have been, but with no guidance, intelligent support, etc. I fell into fear. Interestingly enough, that exorcism only served to drive the fear deeper and deeper as I was taught to “bring every thought captive to the obedience of Christ.” So, every time I thought anything about my nature given to me by God, it was The Devil trying to win my soul to himself, and I would have to yell and quote scripture at the top of my lungs, reminded that that is how Jesus defeated him in the Wilderness! Guess what? It never worked! Something must be wrong with me … my faith? … the way I said it? … did I really mean it? … etc …. And so the fear cycle continued. Well, according to Gothard, I have been way away from God’s Parasol for years, and yet I have never felt more inspired, more spiritually alert and more changed from “glory to glory” than I do today. Also, in August of 1975 I sang in a Jack Van Impe Crusade. In that crusade, Van Impe predicted that Jesus would return on September 6 of that year. Now, I was to return for my second year of Bible College seven days before the 6th, knowing that my College’s policy was “no pay, no stay.” How shocked and disappointed I was when I had to ante up. Where did I go wrong? The fear of using my own intuition became further incapacitated by the fear cycle. With my past-life regression coming up, one thing about which I am certain is that despite all of the fear that I have encountered on this plane of existence, there has continually been that Hand Guiding that has never moved from me one iota. What some would have written off as “Jeff’s Descent into the Netherworld of Darkness” has been anything but! Has it been pleasant? OMG NO!… interesting and enlightening?…OMG YES! Fast forward to today: and I still deal with the fears that have deeply rooted themselves. As recently as September, when my ears did not heal, I threw myself into the familiar fear cycle of … “did you meditate correctly?” … “did I use the rays correctly?” … did I really hear the angels correctly?…. and so on. This needs to stop… and it HAS!!! I have arrived to this day and time (December, 2012) with a heart that has ALWAYS wanted nothing but the best and highest. I know that. As the Ascension sallies forth, I find myself again immersed in an unnecessary fear cycle of “will I really ascend?” etc. I am simply trusting that everything is moving me correctly and judiciously towards that Perfect Day just as IT always has even in the midst of all my doubts and fears. I used to journal in my “Christian” days. Much of what I wrote back then was not honest…. and ya know?… I knew THAT! Not one thing that has happened to me in this present life is a mistake. I now know that for whatever reason, all of these things have happened as a necessity to fulfill a pre-ordained contract THAT I MADE!!! Now, do I always want to acknowledge that? NO… resoundingly said!… BUT, I know that I know that I know that for my life to have been anything but what has happened would not have been MY LIFE! One of the most damaging aspects of Christianity was the notion that I am responsible for other people’s souls. No I am not. I am ONLY responsible for sharing what I know to be The Truth. I cannot convert anyone. All people have a free will and a contract that they need to fulfill, and I do not know what that contract is. Now that I know that the soul reincarnates, just as Jesus did, I look at everything about a person’s “walk” differently than I did before I knew this truth. I only know that they are God just as I am God. That has, and still continues to be, the most amazing thing that I have learned since August; every person has the Light; they just don’t know it! Do I *understand* this? Not by any means with my human mind. I ONLY know that it is true because my spirit bears witness with the spirit of God that it is so! I often muse that MY spirit NEVER bore witness to much of what Christianity taught, but my mental self did out of pure fear of “what really IS The Truth?” Wow…. God is soooooo much bigger than ANYTHING that mere Christianity has ever taught me. In fact, I now know that NO ONE, not ANY “religion” upon this planet, even those that have taught principles of “Higher-Self”, “Higher Consciousness,” whatever IT is called, is the complete truth! I am convinced that we truly DO “see through a glass darkly,” and that I will be totally shocked and surprised, but still enveloped in The Love That Wilt Not Let Me Go when ALL (and even if then I still don’t get every last bit of it!) is revealed. Fear has always said “Jeff, are you doing everything to comprehend and apprehend the Love that comprehended and apprehended you???? ?” Guilt, guilt, guilt!!! How COULD I have??? I am STILL in a limited body! I always loved the words to the hymn “I stand amazed in The Presence.” I ask that I never cease to be amazed at what I secretly THOUGHT ALL ALONG was the Truth. What does that mean???????? I have NO CLUE!!!!! That’s what makes all of this so much fun! PREPARATION FOR ASCENSION – KNOWING TRUTH! ******Jesus, as the Divine Idea of the perfect man/woman, is not limited to the Christian religion. [viii] Instead, this Divine Idea is the goal toward which all of humanity is to aim. Every human being is divine and will eventually ascend to the higher realms. Religions have enslaved humanity by not allowing this knowledge of our true identities to be taught. Jesus taught: “The one who believes in me [in your own indwelling God or I AM PRESENCE] will also do the works that I do and, in fact, will do greater works than these.” [x] Jesus recognized all of humanity as his brothers and sisters. All sacred books were written by individuals incarnated in a physical body and living on the 3rd dimensional plane of duality (represented by the Genesis story of the forbidden tree of knowledge of good and evil). These sacred texts were written for a variety of reasons, yet each religion appears to accept its sacred texts as the infallible word of God. The Bible, especially, has undergone many translations from Aramaic, Hebrew, Greek, and Latin into the language of specific nations. The exact equivalent of a word in one language may not exist in another language. Therefore the translation can easily change the meaning of the text. The Bible consists of a compilation of many books written by various, often unknown authors. The books chosen to be included in the Bible were selected by a group of human beings who were far from spiritually advanced. [xi] Instead, they were Pharisaical in nature. The Bible is full of contradictions, some of which represent differences in theological perspective. Still, with all of its human flaws, much hidden wisdom can be found therein. A. Enslavement via instilling a fear of death and possibly a penalty of eternity in hell =obedience to the church rules and doctrines/creeds. B. Fear of death allows people to be manipulated into all types of behavior, including wars. The concept of Enemy becomes acceptable, resulting in racism, discrimination, hatred, and violence. A. Enslavement by withholding knowledge of reincarnation is another way to create fear of death. C. Denied the truth of reincarnation, enslavement = the opportunity for the power elite to use the false concept of abortion kills babies to occupy the energies of millions while behind the scenes nefarious activities can take place undetected. [xiv] An excellent example is how the outcome of important political elections can be manipulated by encouraging those who call themselves pro-life to vote for the candidate professing agreement with the pro-lifers. This candidate may or may not be the best individual to lead a nation. D. Denied the truth of reincarnation, enslavement = homo phobia = a means to encourage hatred, discrimination, and violence. The eternal life of a Soul—who eons ago made the freewill choice to incarnate on Earth’s 3rd dimensional plane of duality—is characterized by incarnating in both male and female bodies, rich and poor, in a variety of races, and in healthy and physically challenged bodies. A variety of lifestyles is assumed in order to learn from each experience. Incarnating in both male and female bodies = the opportunity to evolve into an androgynous being—meaning the Soul has achieved the balance of masculine and feminine energies required to evolve into the likeness and image of our Mother/Father God. As the Soul works to achieve this balance of energies, it incarnates into male and female bodies in a number of incarnations. Although Souls live in an atmosphere of Unconditional Love on the inner planes, they develop special affinities to particular Souls. When these Souls incarnate into physical bodies, they may choose male or female bodies. The gender of the physical body does not impact the Souls’ love for each other. As we have seen from past life regressions, our physical bodies carry memories from previous incarnations. 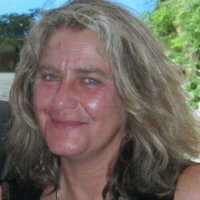 My intuitive sense is that a Soul who has incarnated in the same gender for several lifetimes in a row and then, switches to the opposite gender in the present incarnation may manifest as what we call homosexual for the simple reason his/her cells still carry strong memories of the previous lives. Cellular memory may also account for the individual feeling she/he is in the wrong body. Bisexuality can actually indicate a step toward attaining androgyne. Immeasurable enslavement and suffering have resulted from religions’ refusal to teach the truth of reincarnation. Past life regressions and the miracles of healing that often occur have proven the extent of the suffering incurred. From the Soul-level perspective, the gender of the body makes no difference. There is no judgment! III. Born again – a misinterpretation of this extremely popular religious term is used to enslave millions. Christians are taught that in order to avoid spending eternity in hell, they must be born again. This represents an example of translators interpreting the Bible in accordance with their religious doctrines. The Greek word used here is gennethe in the passive voice, indicating the subject is acted upon by someone else. In the passive voice, gennethe means to be born of woman. The Greek word translated here as again is anothen. It means both again and from above. I choose to translate anothen as again based of the passive voice of gennethe. Thus Jesus’ statement actually reads: “unless one is born again of woman, he is not able to see the kingdom of God.” In other words, Nicodemus must reincarnate until he is spiritually mature enough to perform the signs Jesus performed. IV. Religions enslave by their failure to encourage holistic self-growth, which is the Soul purpose in reincarnating. Jesus taught that those who believe in him (meaning who believe in their own indwelling God) would do greater works than he did. Yet the Bible does not teach humanity how to achieve a level of spiritual consciousness that would allow us to do these works. Religions do not encourage humanity to think in terms of individual growth. Instead, they teach humanity to be dependent upon the religious authorities to tell them what to believe, what to do, the rituals they are to perform or in which to participate, and to walk in Jesus’ footsteps. They do not teach individual self worth and being an integral unique part of the overall Divine Plan. Humanity is led into believing it is separate from God and all other parts of Creation. Humanity is alone with no real purpose in life. This is the worst type of enslavement—enslavement to meaninglessness! In truth, no one has anything over which to worry. All will ascend when they are ready. 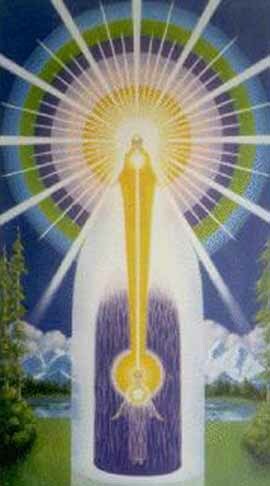 On the other hand, Earth has invited every member of the human family to ascend with her in 2012! The choice is yours. [i] Luke 12:1-2, Lamsa’s Translation from the Aramaic of the Peshitta. [ii] Unity’s Metaphysical Bible Dictionary, page521. [iii] Although each religion’s mystical groups offer an opportunity for deeper spirituality, they are still required to adhere to the tenets of the particular religion. [v] Unity’s Metaphysical Bible Dictionary, page 345. [viii] I speak within the framework of Christianity because that is the only religion I know. [xi] A reading of few of the Church Fathers’ writings will reveal just how egoic and invested in being the one who was right were those who compiled the Christian (including the Catholic) Bible. [xv] Josephus, The Wars of the Jews, Book 3, Chapter 8, No.14, trans. William Whiston (Grand Rapids, Michigan: Kregel Publications, 1960) 478. [xvi] You may read what Jesus showed us at: http://www.pathwaytoascension.com/bible.html. ARE YOU AFRAID TO THINK ABOUT ASCENSION AS YOUR OWN PERSONAL JOURNEY? AS YOUR OWN PERSONAL JOURNEY? Nancy B . Detweiler, M.Ed., M.Div. Many, especially among Christians, may fear considering their own personal ascension. To do so, may appear sanctimonious or to distract from the role of Jesus’ incarnation on Gaia. Did Jesus incarnate to be a unique expression of God? No, he came to show us the Way to Ascension! Study the 1st Divine Self Chart above. Note that 3 figures are present: 1. The human being residing on the physical or 3rd dimensional plane. This individual naturally focuses his/her attention on the physical plane, most often depends upon his/her intellect (or lower mind) to determine answers about life, and depends upon those answers that can be verified via one of the five lower senses. He/she will often make the statement: I’ll believe it when I see some proof. 2. The middle figure or Higher, Intuitive Mind, the Christ Self, the Higher Self. As the physical plane individual begins to focus on the Higher, Intuitive Mind, the Ascension process begins. Instead of living life in accordance with the Lower, Intellectual Mind, she/he ascends or lifts his/her consciousness to the level of the Higher Self or Soul Level of Consciousness. At this level, we begin the development of what the Apostle Paul called the mind that was in Christ Jesus. [i] 3. The top figure, the I AM PRESENCE, God within you, the Kingdom of God within you. The mind that was in Christ Jesus was in attunement with God’s Mind. 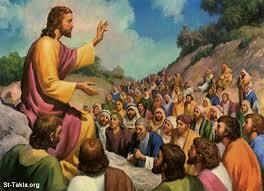 Jesus taught: My teaching is not mine, but his who sent me. [ii] So, when you and I ascend, it means that we not only know how to be in attunement with our Higher, Intuitive Mind; but will also ascend in consciousness to become One with the I AM PRESENCE indwelling us. Will Ascension be complete on 12/21/12? No, there are numerous dimensions of consciousness. 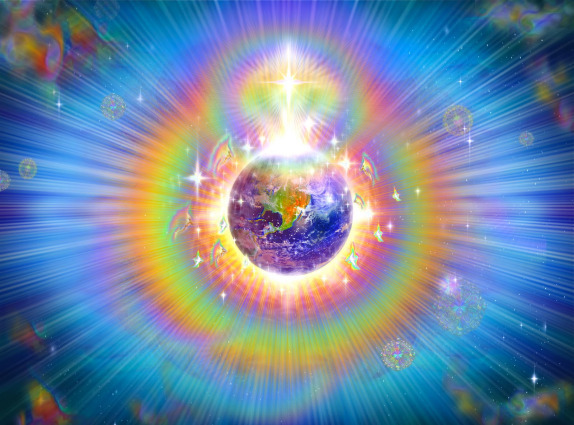 The Ascension, or evolutionary leap, that we are to experience approximately December 21, 2012 will be a leap to first rung of the Ascension ladder. We will lift our consciousness above the dimensions where negativity of any kind can exist. We will enter the realm of God-consciousness, but still have much to learn and integrate. This is how God thinks … Are we ready to think likewise? This is ascended thinking … 5th dimensional thinking! Even though 5th dimension contains no negativity, no deprivation, no jobs (working to fulfill someone else’s aspirations rather than our own), no pain, no illness, ascended individuals still think in terms of good for every part of creation—no exceptions! EVERYONE WILL ASCEND IN 2012 OR LATER, WHENEVER WE SO CHOOSE. There may be some individuals who are not ready to ascend. They may choose to remain within a 3rd dimensional society or need to learn additional lessons that can be learned only on the 3rd dimension. They may not be ready to give up their hatred, need for revenge, prejudice, greed, power issues, and still need to feel superior to others less fortunate. Some may simply be happy with their 3rd dimensional lifestyles and not be ready to give it up. For these, the choice to remain on 3rd dimension entails a move to another planet—very likely a totally unconscious move of which they will have no awareness that anything has changed. Loving spiritual guides will continue to be with them … they will continue to live and move and have their being [v] within the energy of God’s love, just as we all are at this very moment. Since GOD IS ALL THAT IS, there is nowhere where God is not. The difference between 3rd dimension and 5th dimension is that on the 3rd, we continue to learn via suffering and believe ourselves to be separate from God. On the 5th dimension, there is no suffering and we have ascended into the higher consciousness of knowing we are One with God … we are consciously aware of living with only Love, only Joy, only Abundance, only Peace. But, what if this is not true and we end up in Hell? Even though many churches no longer speak of hell, many Christians—even those who have left the church—retain pockets of fear generated years ago by hell fire and brimstone preaching heard during childhood. What about those who say they have nothing to worry over … that are born again? Love is the key to Ascension. Love and the release of all negativity, such as the need for revenge or to be superior—to lord it over another human being. THE RELEASE OF ALL NEGATIVITY IS IMPORTANT because Universal Law is “Like Attracts Like. Therefore, if the individual’s energy field contains pockets of negativity, they will be attracted to a 3rd or 4th dimension, which still contain the positive and negative vibrations. The Universal Law of Like attracts Like is one reason believing we are born again can be insufficient. No one can release our own need to hate or seek revenge but us … no one can do it for us. Ascension is to attain the mind that was in Christ Jesus and therefore, there is no reason for fear. On the other hand, we are now living within the last two months of 2012 and we are faced with two major decisions. 1. Do I want to ascend? 2. Am I ready to VOTE in accordance with the way God thinks? Can I discern which candidate has the capacity to help us create an ascended society? Both candidates are having to use campaign talking points that can be understood on our present 3rd dimensional plane of residence. So, in order to vote in accordance with the way God thinks, we must ascend in our thinking to a level enabling us to discern which of the candidates will best assist us in creating a 5th dimensional culture. Filed under: 2012 Elections, Ascended Masters' Teachings, Ascension, Bible, Bible Study, Christian, Christianity, Discernment, Divine Plan, Fear, GOD, Hell, Jesus |	Comments Off on ARE YOU AFRAID TO THINK ABOUT ASCENSION AS YOUR OWN PERSONAL JOURNEY?